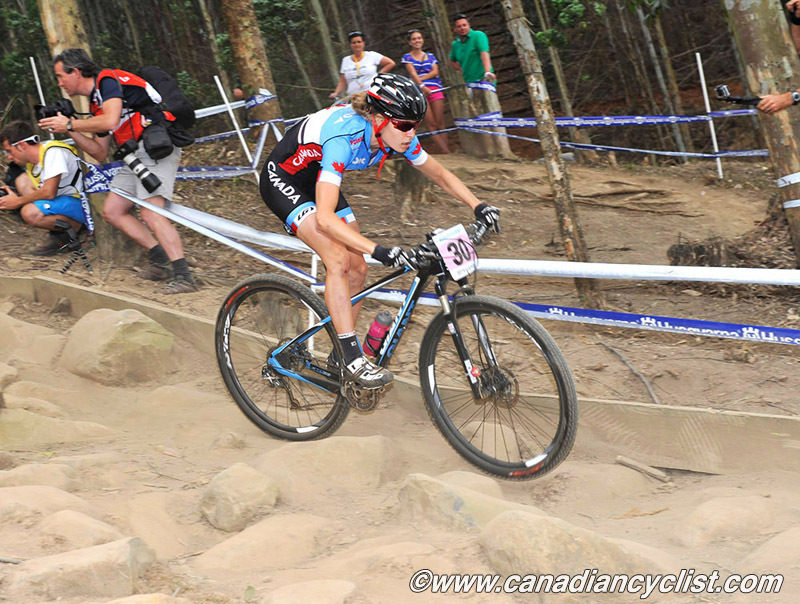 Twenty year old Quebec rider Maghalie Rochette has joined the Luna Pro Team, the UCI number one ranked women's mountain bike team. She will will join fellow Canadian Catharine Pendrel on the team. I am pleased to announce that I will be racing with the LUNA Pro Team for the 2014 mountain bike and cyclocross season! I remember as a tiny nine year-old girl dreaming of being a LUNA pro. 11 years later, I still look up with admiration to the current riders of the team, so it is really an honor for me to be part of this great organization. It is a dream come true to ride in the same kit as some of my idols. I am twenty years old, I live near Montreal and I speak French. I've been riding bikes since the age of four. I tried mountain biking when I was very young, and competed in triathlon until I was 18. Last year, I tried a couple of road races and I started racing cyclocross. I decided to start mountain biking in April 2013 thinking it could help me for cyclocross, but I had no idea I would fall in love with the discipline as much as I did. When I am not on my bike, I love to surf, ski, swim, do yoga, run, cook and bake new recipes and take camping trips with my friends, family and my boyfriend David. I started University this past September and I am currently studying Athletic Therapy at Concordia University in Montreal. Other than that, I am happy trying new things, and I love eating every kind of food. I am always daydreaming about new exciting (but maybe useless) projects ... I love what I do and I really enjoy life in general! I really look forward to the next season with LUNA and I am more than excited to learn, race, and enjoy every second of this incredible ride. I am very grateful that I have been given such a great opportunity, and thanks to Clif Bar and the Luna Pro Team family! Rochette's recent results include ninth at the Under 23 UCI World Championships in South Africa, fourth place at the 2013 Sea Otter cyclocross event, sixth at Pro XCT in Vermont and tenth place at Cross Vegas in Nevada.